With Sunil Chhetri winding down his career at 34, who will take up the goalscoring burden for India? As the sun set in Tashkent, the weather became a bit colder, rather cooler for the Central Asians. 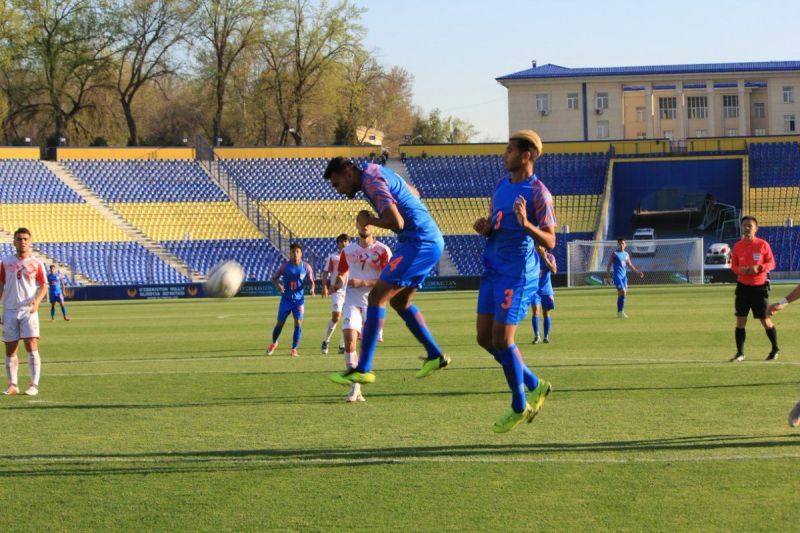 However, things were heated up at the Pakhtakor Stadium as a group of men with Uzbek flags were chanting as their eyes were fixed on one end of the field where a group of men in blue were tussling with another bunch of players in white. Out of nowhere, Anwar Ali won that tussle and passed the ball in the space between the two defenders to find Anirudh Thapa and the latter had just the keeper to beat in front of him. He couldn't. Indian forwards had a miserable day. And the team lost 3-0 to the hosts. 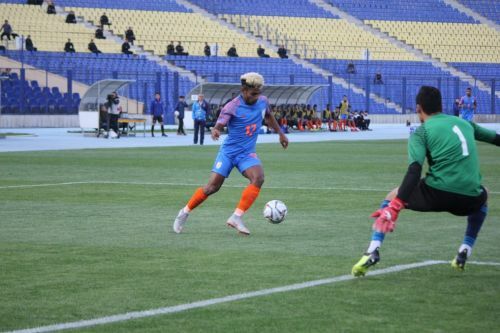 The team would then go on to lose again to Tajikistan 2-0 in the second and do-or-die game of the qualifiers, which would end the journey of this India U-23 batch with an amazing although the disappointing record of not being able to score a single goal playing together since Derrick Perreira took over. Time and again India's lack of a proper outright striker in the ranks of the youth age-groups teams has cost the Blue tigers many crucial games. Keeping SAFF Cup aside, where India fielded a second string younger side, Sunil Chhetri has scored 10 goals for India since January 2018, followed by Jeje Lalpekhlua who, however, is far behind- having scored only 3 goals. How long will India be dependent on the 34-year old? This is a question that haunts every Indian football fan. The problem seems even more grave due to the recent developments- the concept of Indian Super League. Indian Super League came up as a brainchild of the All India Football Federation (AIFF) and IMG-Reliance to promote Indian football in IPL-style. Little had they realized then what would go on to happen in the coming years when they launched the league in 2014. The idea to put in more foreigners in the playing eleven to increase the quality of gameplay has increased the problem for Indian players, especially the forwards. Almost all the teams in the ISL have foreign strikers in their squad, and now going in the same direction, I-league teams too have started to implement the same strategy to boost the forward line of their teams. What this means is lesser and lesser game-time to Indian strikers. To compete for a place in the forward line against a more experienced and reliable foreign player is a difficult task. But the task is not difficult, it has been made difficult, rather nearly impossible by the AIFF and its allies. The ISL runs continuously from the beginning of October till the end of February when the playoffs begin. The league commences and then begins the cup tournament. As such the managers of the clubs are forced to do what they have been appointed for. The managers don't find an opportunity to tinker with the squad, to rotate the lineup and give some play time to Indian players. Every other day the same squad has to be fielded in search of all the three points. Once the league ends, the clubs shift the focus on cup tournament. Again since the tournament is a knockout competition the clubs try to field their best lineup in quest of the silverware. With this kind of setup, there is hardly any possibility to unearth and nurture another player who could fill in the boots of Sunil Chhetri. Hence, the saga of the AFC U-23 Championship Qualifiers 2019 will repeat itself in the years to come. The only solution to this problem is to look towards Europe. In Europe (and also most World Cup playing nations of other continents), the cup matches for all the clubs remain sandwiched between the league games. Moreover, the clubs also play cup games against lower-tier sides, which increases the number of the matches the manager has to tinker with his squad and give chance to young local players of the squad. They also play various small local tournaments where they test their reserve team players. India needs to follow this suit if it wants to build a better squad in the future.